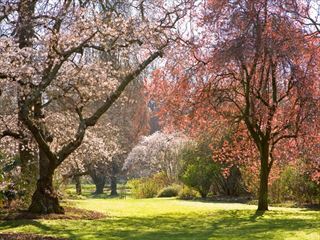 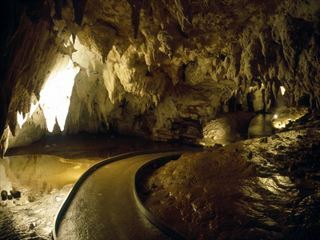 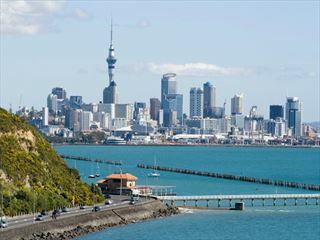 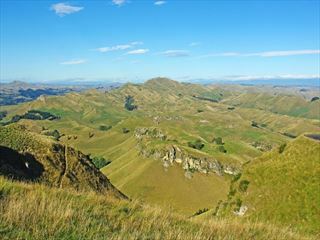 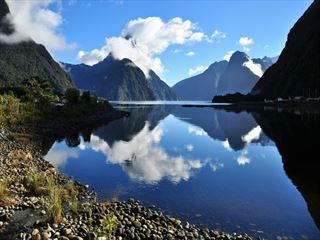 In a country as beautiful as New Zealand, rail tours are unsurprisingly popular. 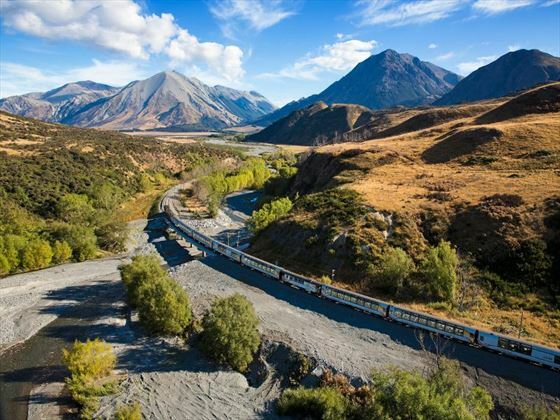 Include an unforgettable train journey in your holiday and you'll be treated to scenic vistas, comfortable travel and memories to last a lifetime. 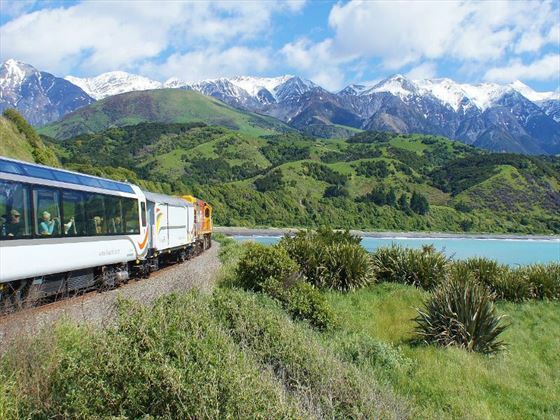 11 tours including rail holidays found. 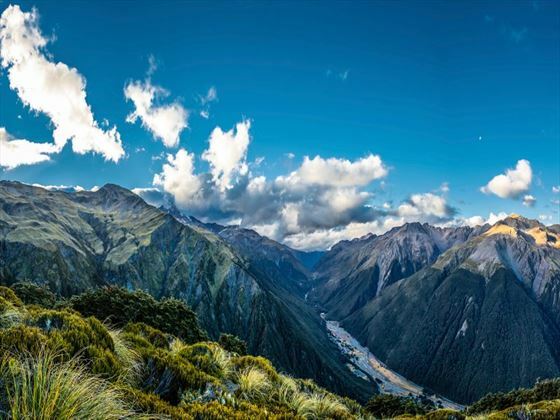 Board the train for one of the most epic experiences New Zealand has to offer. 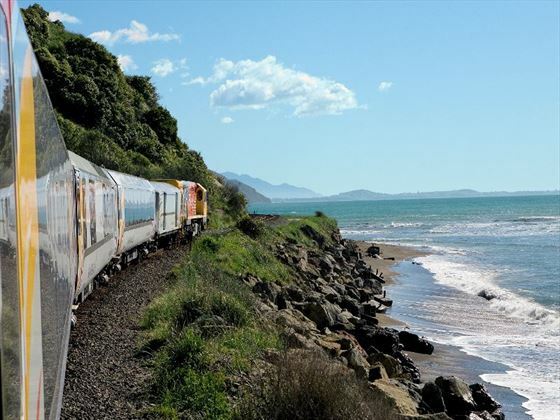 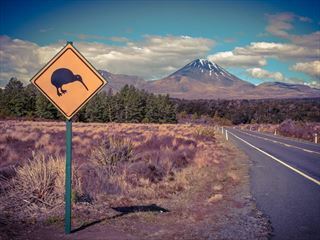 New Zealand rail tours are growing in popularity. 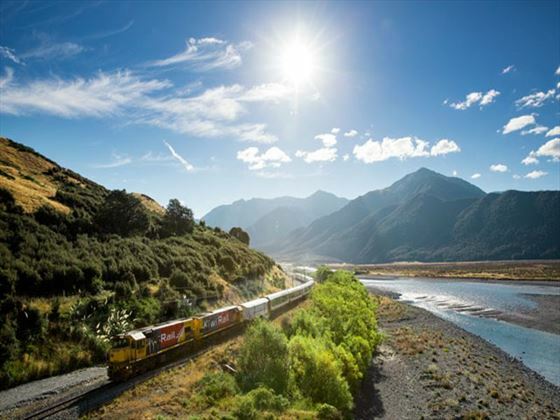 The high quality trains and jaw-dropping scenery, blend perfectly for an unforgettable experience. 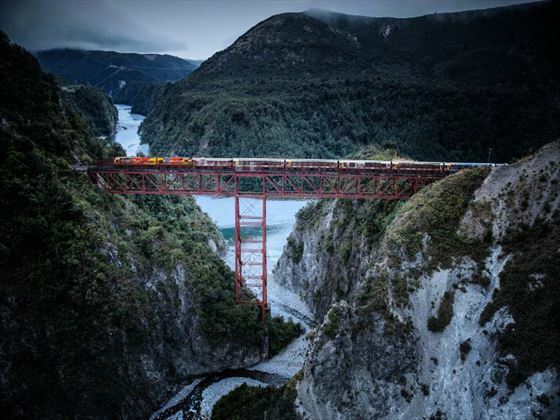 The train tracks offer a different perspective of this uniquely beautiful country and it’s really worth making it a part of your holiday. 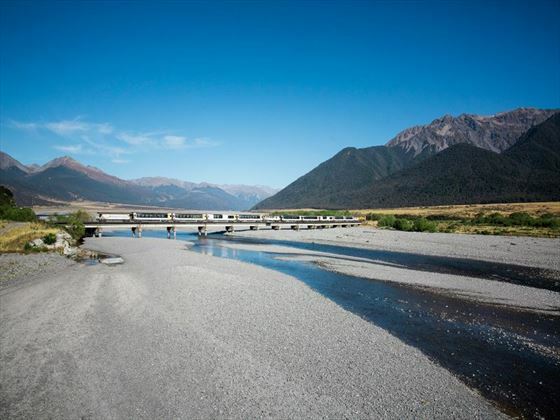 The TranzAlpine Train is probably New Zealand’s most famous and iconic rail journeys, bisecting the Southern Alps and providing incredible views of the South Island scenery. 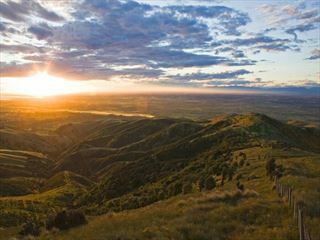 Running from Christchurch to Greymouth it simply has to be experienced. 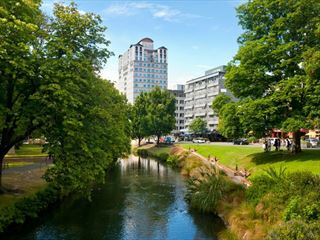 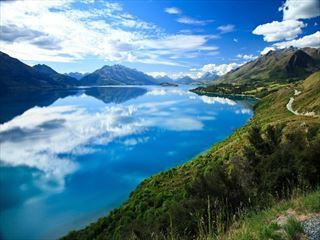 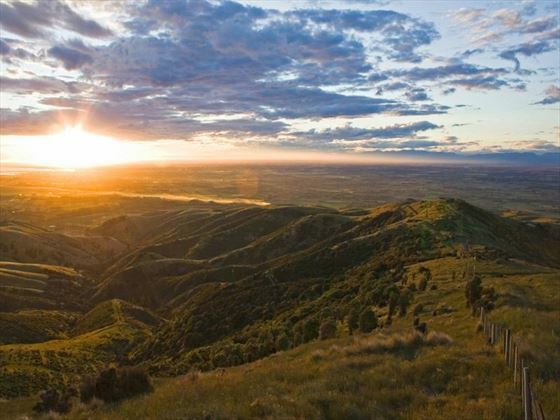 Why book a rail holiday with New Zealand Sky?